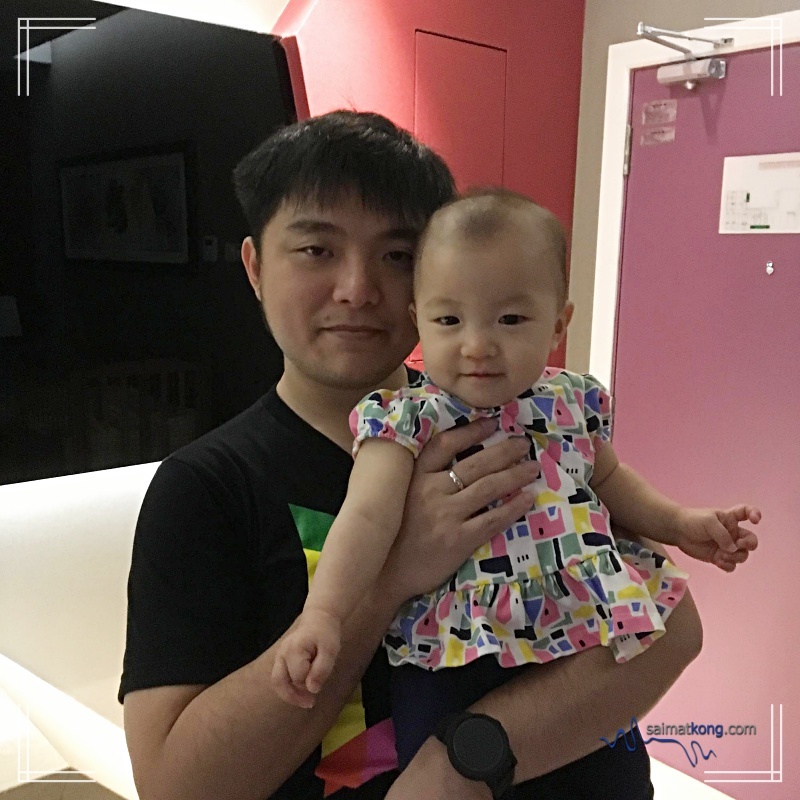 Home » Fatherhood » Fun Trip to Penang & Ipoh with Kiddos! This is a long overdue post but I reckon it’s better late than not documenting it right? 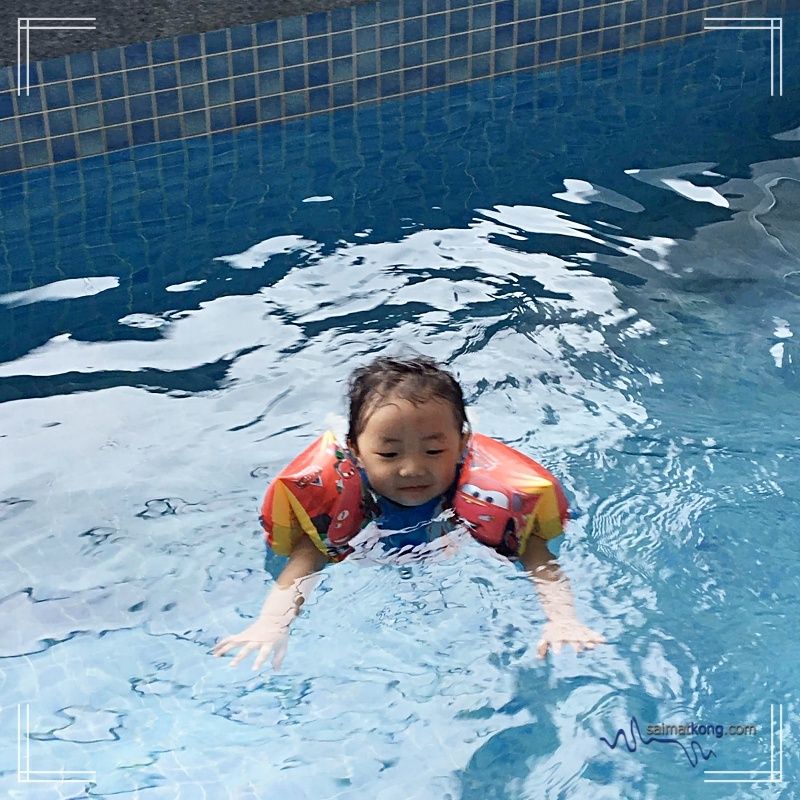 As you know, year end is filled with holidays and it’s a good time to bring your kids for a family getaway. 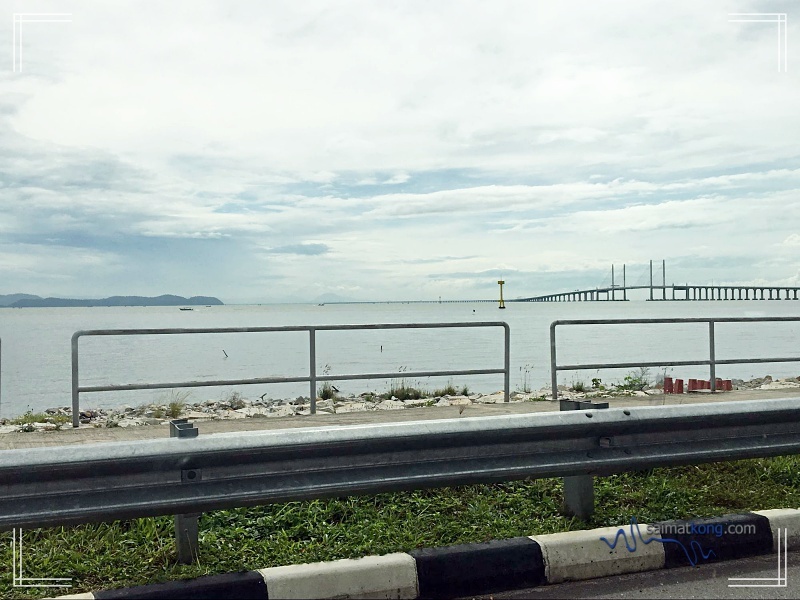 This time, I decided to bring the kiddos for a Cuti-Cuti Malaysia; to the north side (Penang and Ipoh) for a foodie trip. 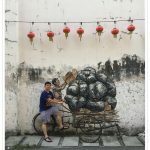 We have major love for food and travel, so traveling to Penang and Ipoh is like killing two birds with a stone coz we get jalan-jalan and also eat lots of delicious Penang & Ipoh food! 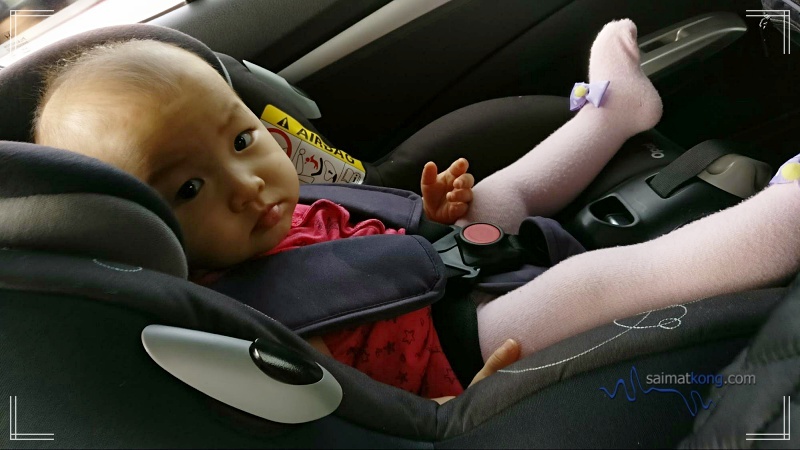 When going on a road trip with baby, infant or toddler, make sure they are strapped in the car seat. 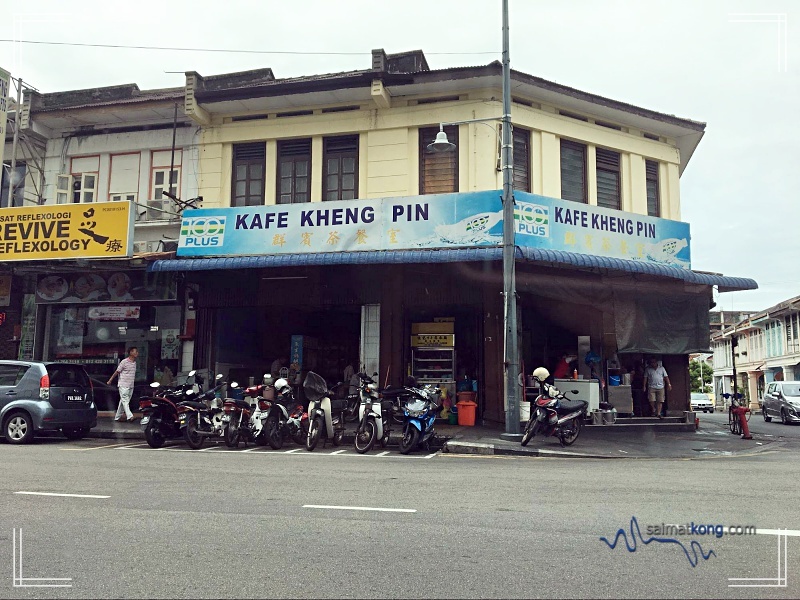 We reached Penang after about 4 hours of driving and were feeling hungry hence our first stop was Kafe Kheng Pin (群賓茶餐室) @ Penang Road for the best lobak in Penang! 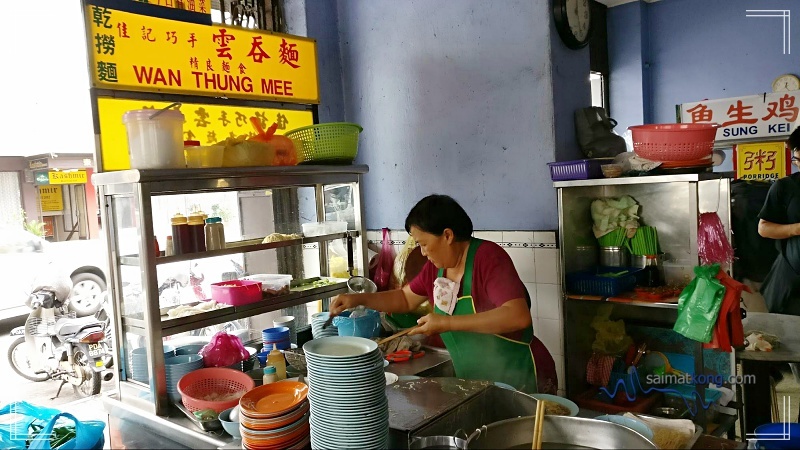 Ask the locals here, they will agree that Lor Bak @ Kheng Pin is awesome. This is the stall to for super delicious Lor Bak @ Kheng Pin Cafe. Love the crispy prawn fritters, lobak (five spice rolls) and tauhu; simply delicious! 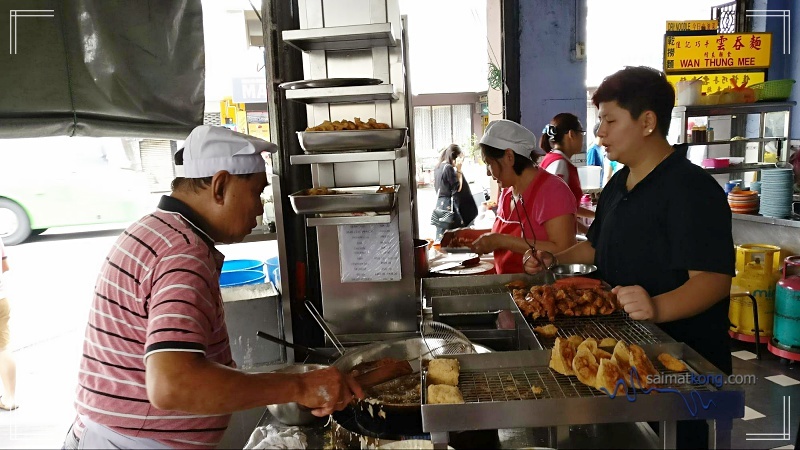 If you want mains to go with the loh bak, can try the wantan mee from the Wan Thung Mee stall. Their noodles are quite wet; tossed with lots of sauce. If you like the “wet” version, you’ll love this. Next stop was to get thin and crispy Ban Chang Kuih (曼煎糕) @ Anson Road. This stall is just opposite Anson Road Market and infront of Lok Pin Cafe. 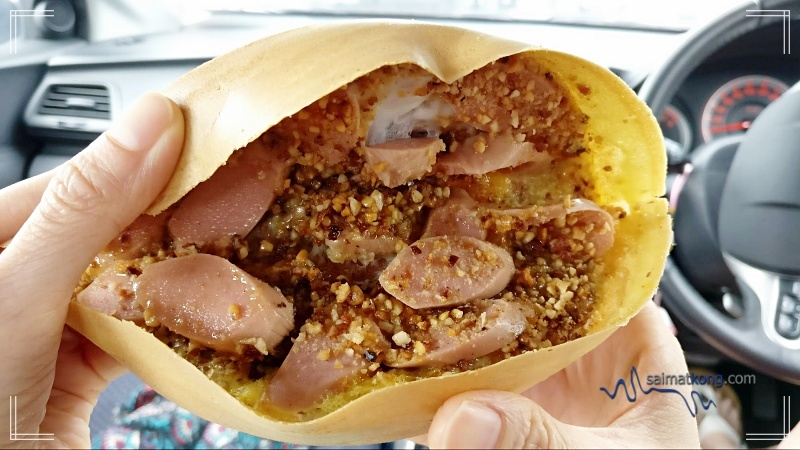 You can choose the standard fillings of crushed peanuts and corn for the Ban Chang Kueh or you can choose from a variety of other savory fillings like ham + cheese, hot dog, chicken meat floss and egg + tuna fish to name a few. Bought a Sausage + Cheese flavor. Can’t stand the nice aroma and so we decided to just makan inside the car only. 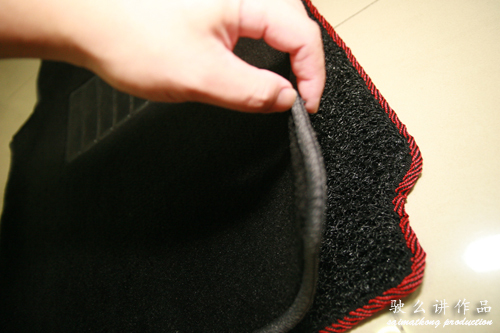 HoJiak. Love the crispy texture of the Ban Chang Kueh. Checked in to Lexis Suites Penang. 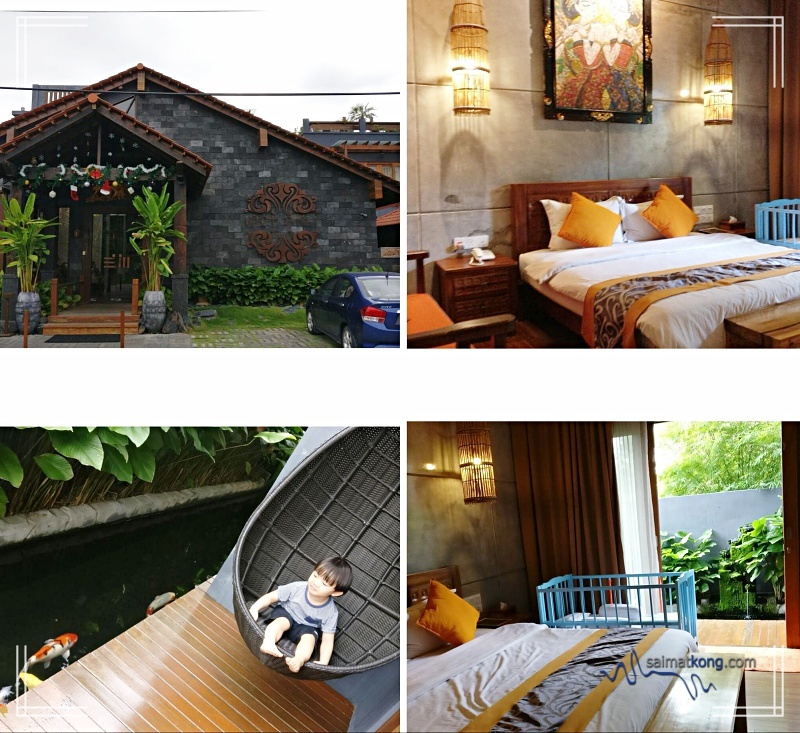 Our room for the night was Executive Pool Suite which is spacious and perfect for a small family of 4. So happy that I managed to get the best price for Lexis Suites Penang on Agoda. 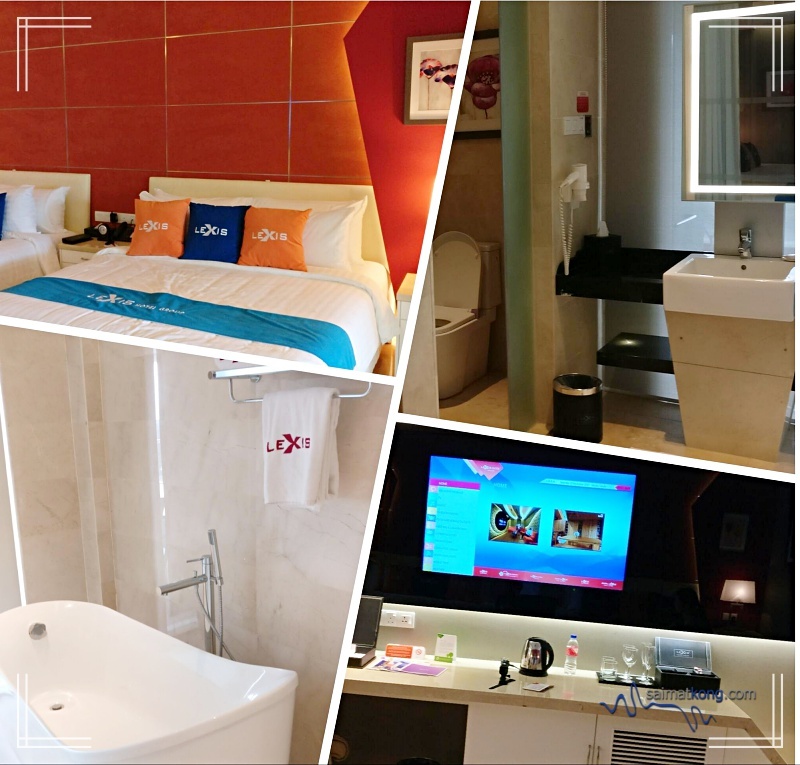 Get your best deal for your stay in Lexis Suites Penang here. 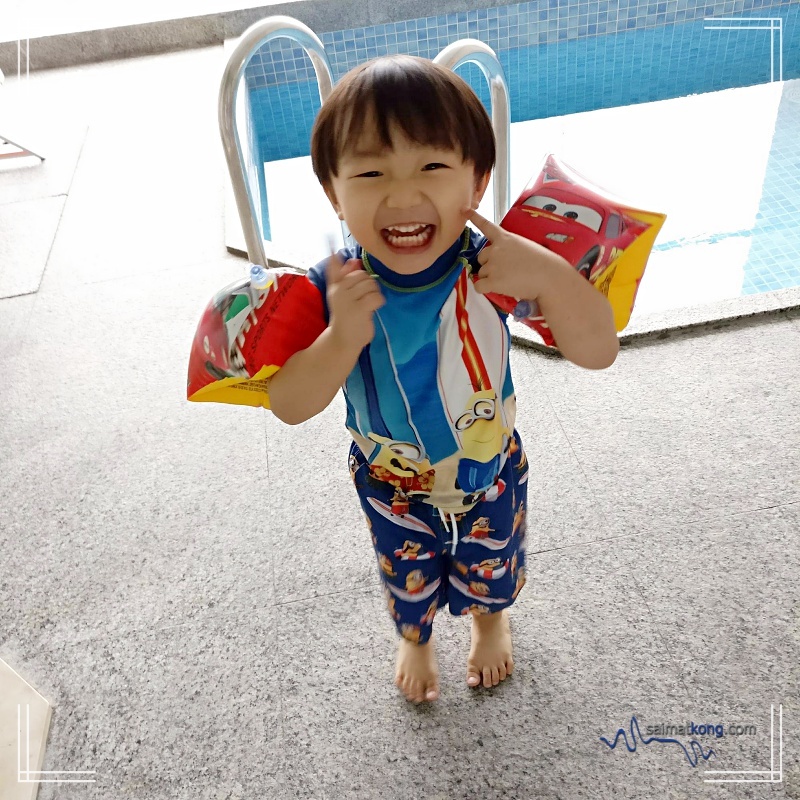 Aiden is all ready to take a dip in the pool. 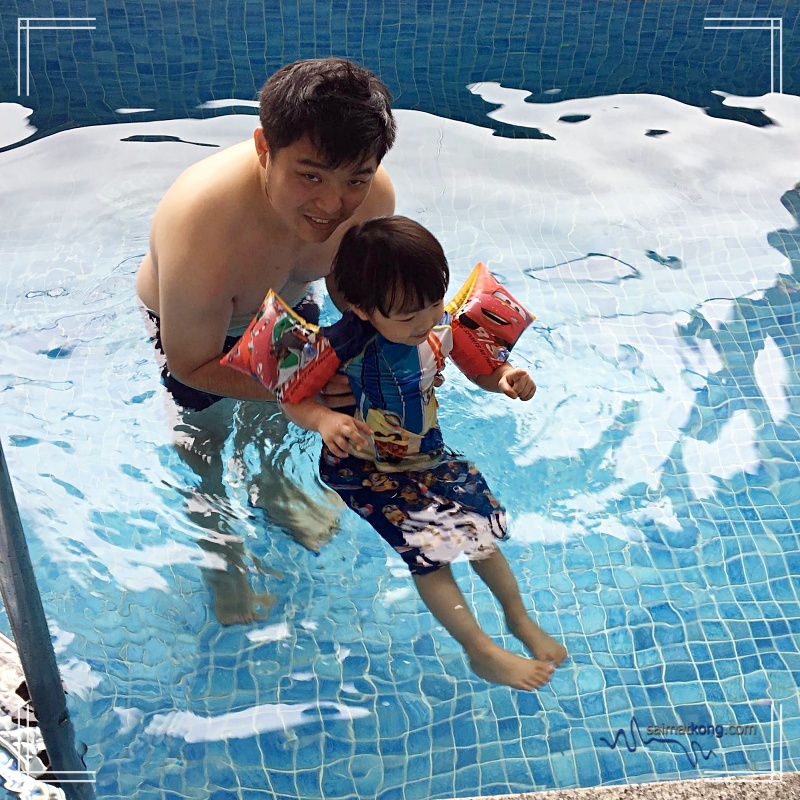 We had so much fun in the pool splashing water and getting wet. 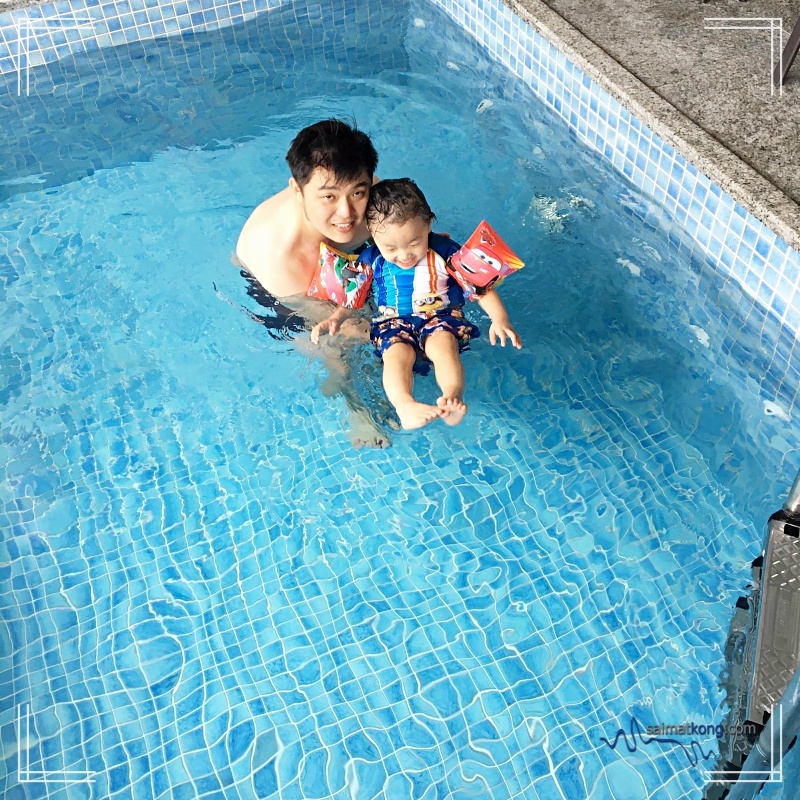 For parents: swimming is a real fun activity and can also strengthen the parent-child bond. Wanted to get Aki Pancake for dessert but sadly it’s all sold out when we arrived and it was just 8+ Really OMG! So if you wanna try Aki Pancake do come early before it’s all sold out! 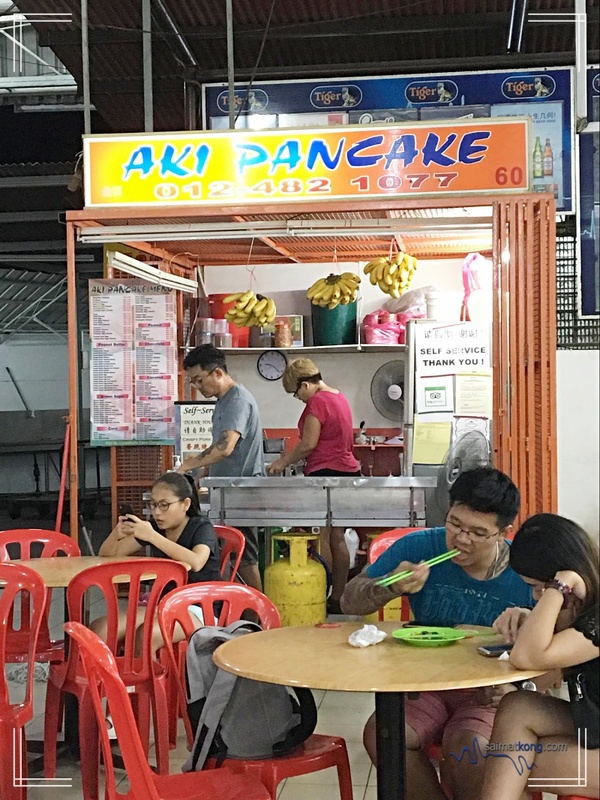 One of the must eat in Penang is pancake from Apong Guan @ Burmah Road. 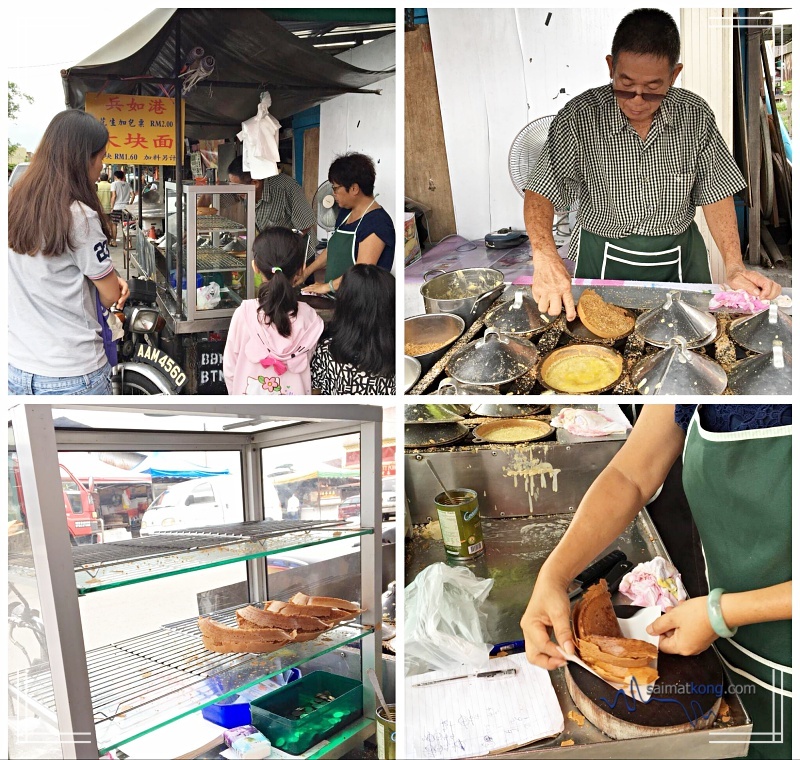 We stopped by Apong Guan to get some of his delicious and fluffy pancakes before leaving Penang to Ipoh. At RM0.50/pc it’s fluffy, aromatic and real yummy! 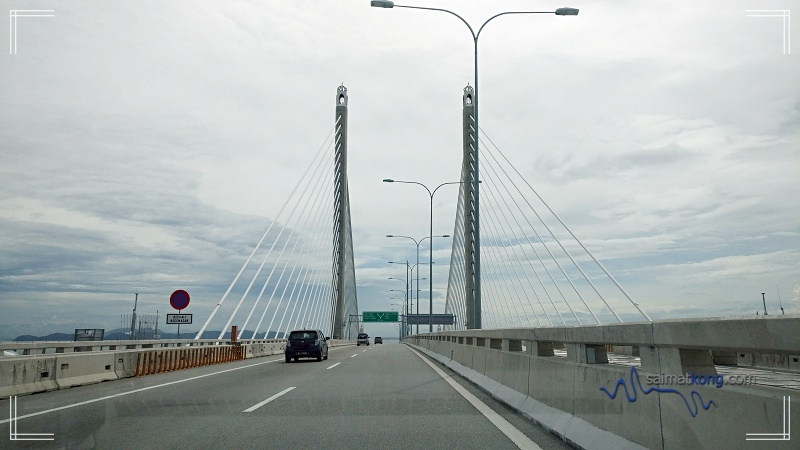 Leaving Penang to Ipoh for a night before heading back to KL city. 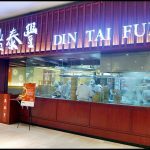 Lunch was Tai Chow at Sun Marpoh Restaurant (孖宝海鲜饭店). 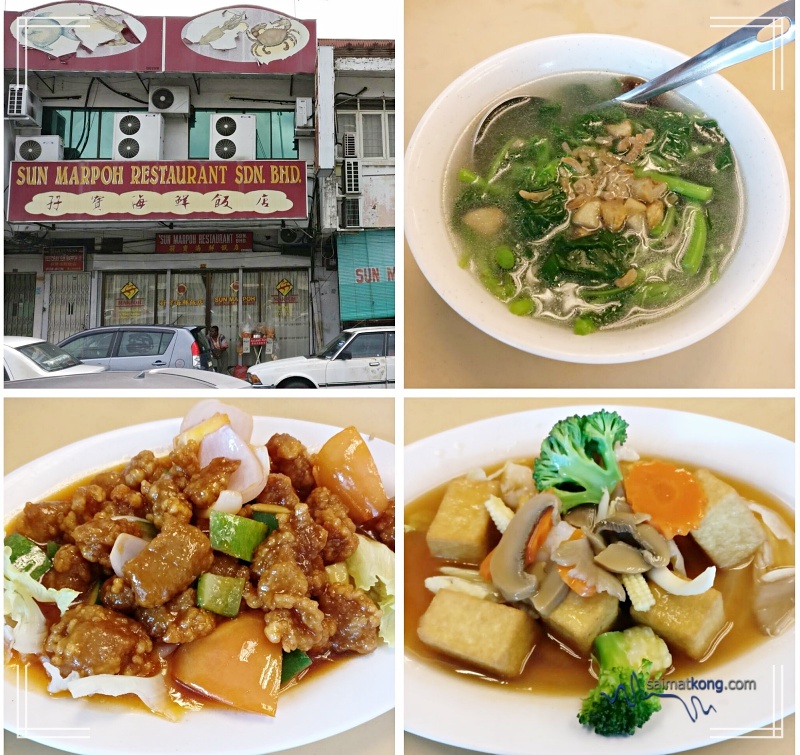 This restaurant serves a variety of Chinese dishes and is packed with locals. Love the sweet sour pork which is really appetizing. 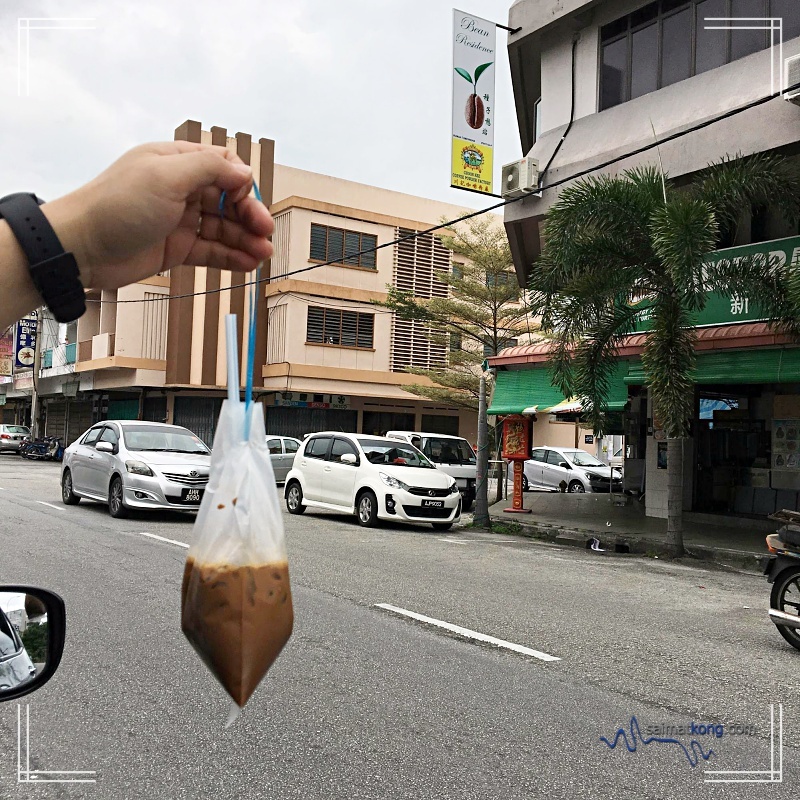 When in Ipoh, one of the must do for coffee lovers is to try their Ipoh White Coffee. Got my caffeine fix from Restoran Xin Xiang Er Nong (新香而浓) and boy, their white coffee is best! The coffee is rich-flavored, smooth with a nice aroma and most importantly,not too sweet! 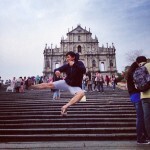 Do try when you’re in Ipoh. 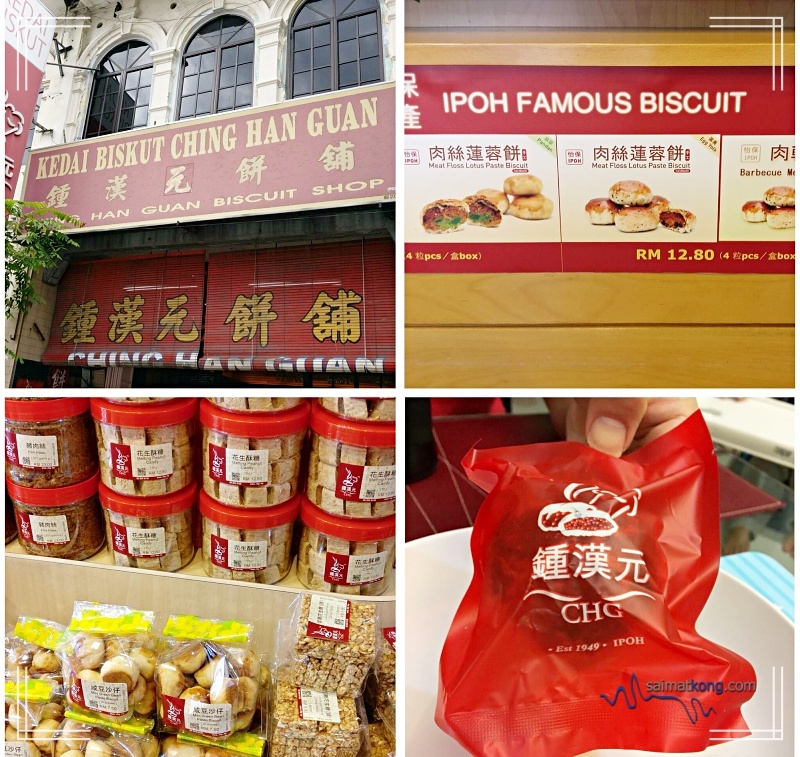 When traveling to Ipoh, the best souvenir to get is food gifts and one of them are the famous meat floss biscuit from Kedai Biscuit Ching Han Guan (鍾漢元餅舖) which is available in 3 flavors; original, Pandan and egg yolk. They sell many varieties of biscuits too but my top favorite is their meat floss biscuit. 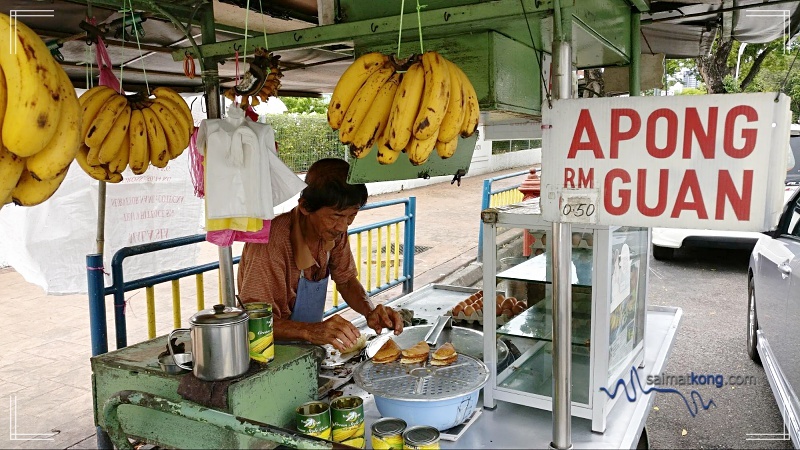 For those who don’t know, there are 2 types of Apam Balik; thin and thick version. If you ask me, I like both! Thin version is crispy while the thick apam is like Asian pancake. 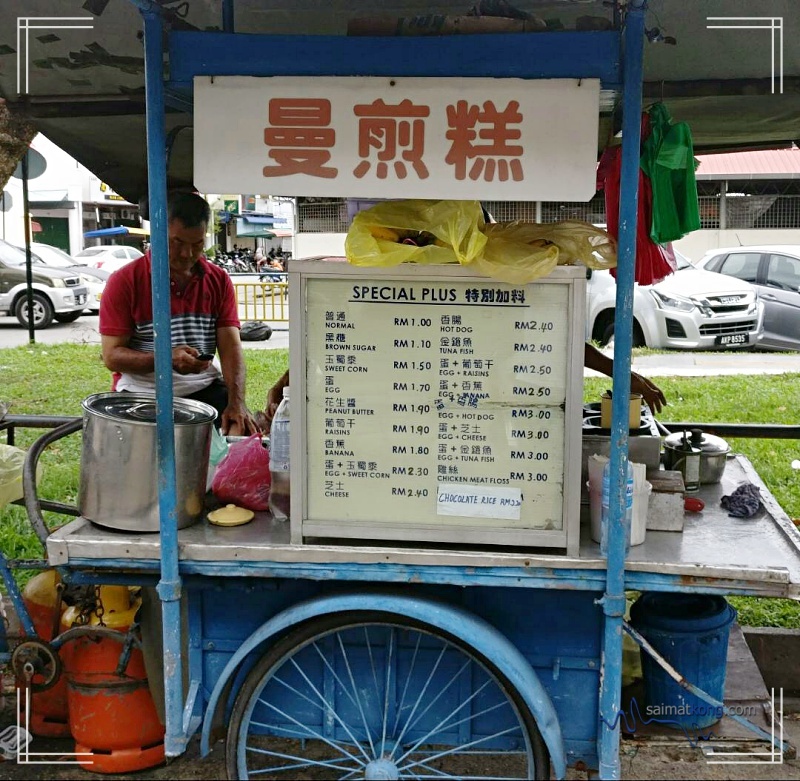 When in Ipoh, do try this Ipoh famous Pasir Pinji Apam Balik. The fillings include butter, crushed peanuts, sugar and corn. Had our dinner at Hoong Tho Restaurant (鴻圖酒樓) @ Ipoh Old Town. 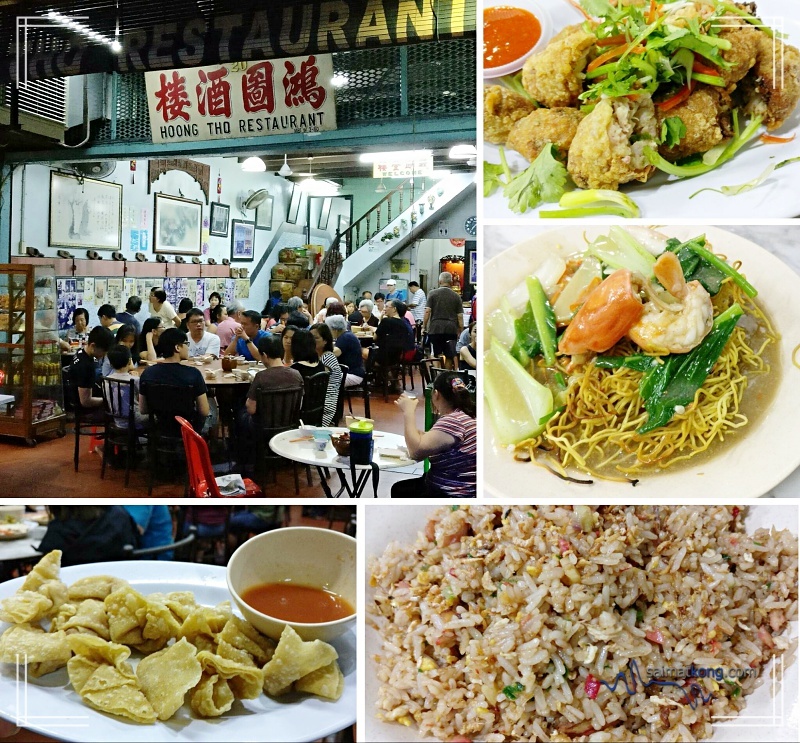 It’s a famous classic Chinese eatery that serve a variety of delicious Chinese dishes include fresh water prawn noodles or known as “sang har meen”, fried rice with lots of wok hei, fried wantan which is our favorite and a lot more. 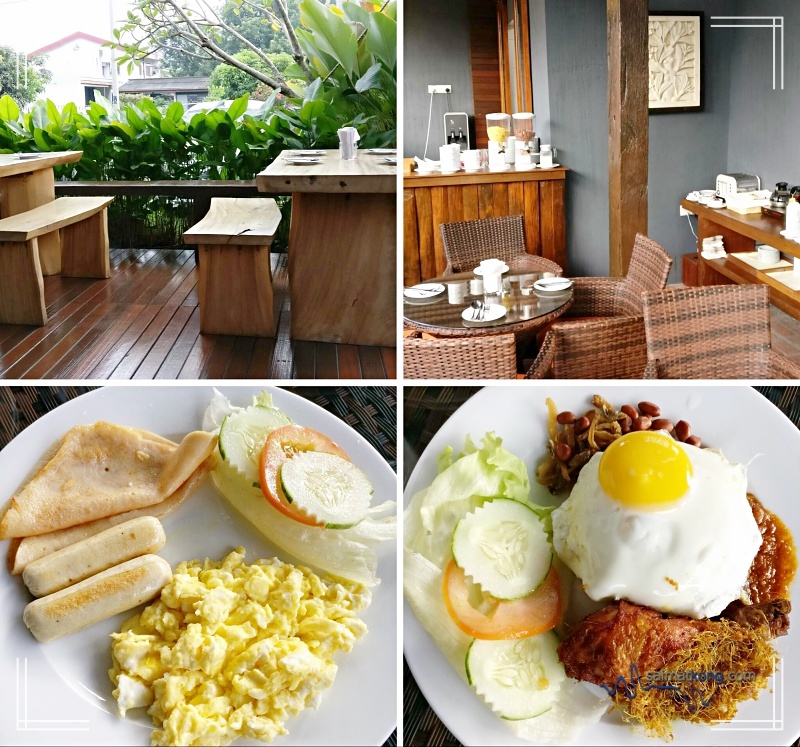 Instead of the usual buffet style breakfast, we get to choose from a variety of breakfast choices. While the American breakfast was normal (kids love it) I think the Nasi Lemak Ayam Goreng Berempah is good! 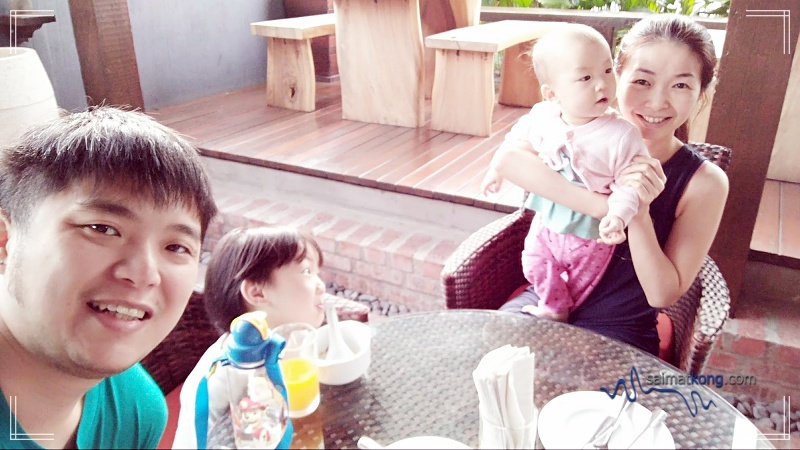 Another failed attempt to take a perfect Family Wefie 🙁 why is it so hard to get the kids to look at the camera??? 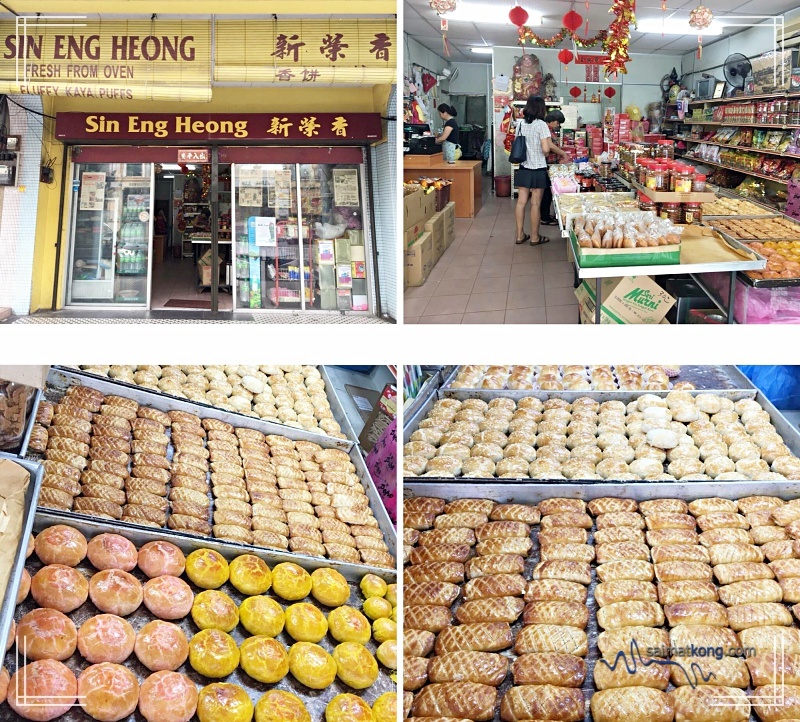 A trip to Ipoh is not complete without buying back few boxes of the Kaya Puff from Sin Eng Heong (新荣香). The Kaya Puff that comes in mini bite-sized have a crispy crust and loaded with generous kaya fillings. It’s perfect to eat for breakfast, tea time or whenever you feel hungry. It’s also very addictive hence don’t be surprise if you finish up a box. Whenever we are in Ipoh, our last stop before heading back to KL is always JJ Cakes & Swissrolls. 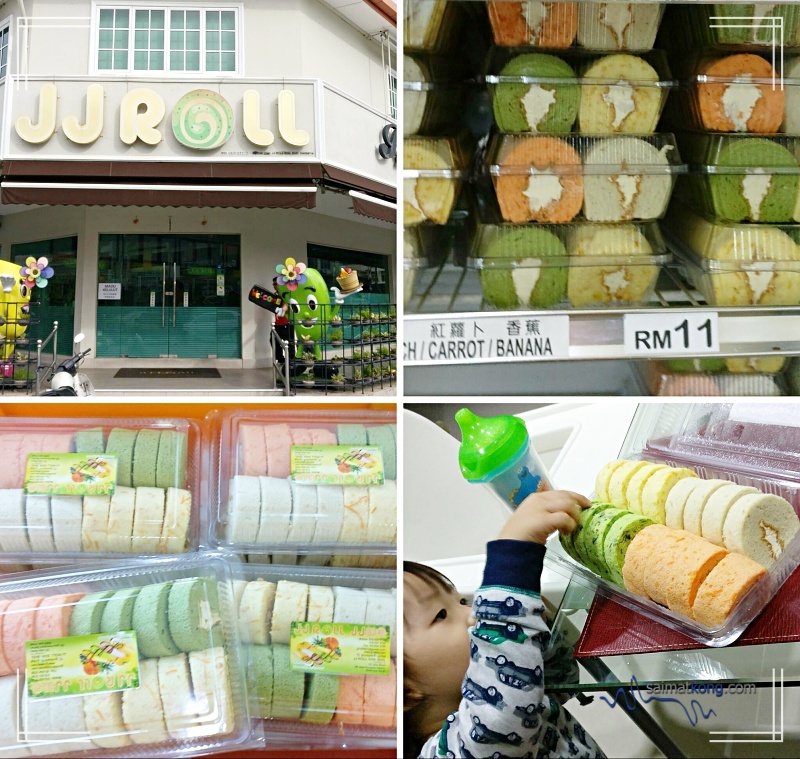 JJ Roll offers cake and swissrolls in a variety flavors using only fresh ingredients and no preservatives. We love buying the mini fruity rolls coz it comes in assorted flavors, not too sweet and most importantly, the kids absolutely love it! 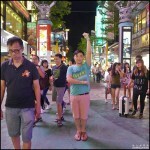 Overall, we had a very fun and memorable family trip. 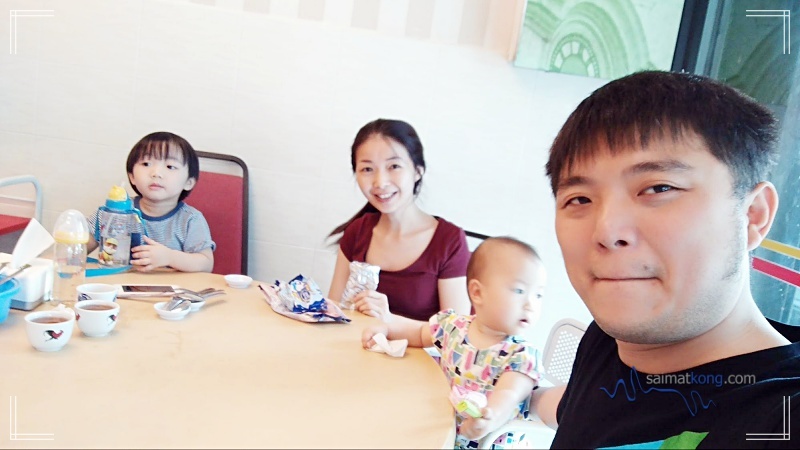 It’s a slow-paced and relaxing trip with lots of eating! 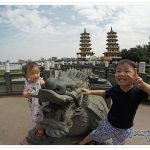 Glad to say that road trips with the kids are doable and enjoyable. Here’s a tip for parents with kids : make sure you pack enough snacks, toys and books to keep them entertained throughout the journey.